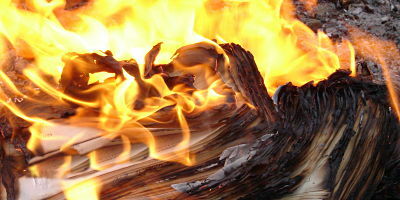 Burning your list means that you oversaturate your message to a group of people. I am here to tell you that a list of people who have said you can contact them on a regular basis is a beautiful thing to waste. Years ago we all had a rolodex of people we could call or send a holiday card to. Today we have MANY different types of lists, phone numbers, email, Facebook, Twitter, even people who follow us on Digg or other bookmarking sites. When you have a list, your responsibility is to treat it with respect. When I saw that the internet marketers were pushing mobile marketing I thought, OH NO, here we go again! I worked in the telemarketing industry in the early 1990’s and saw what constant phone calls where doing to people who were eating dinner or getting their family ready to head out the door. Marketers could buy a list of phone numbers and incessantly call until legislation stopped that practice. Now mobile marketers are using my cell phone to call, text, send push notifications and perform other horrific things that I did not specifically say they could. For example, Gowalla asked me when I downloaded a geotargeting app if I would accept push notifications AND that I could turn them off in the settings. What they did not tell me what there is no GLOBAL turn off, I have to go into each and every person and turn it off manually. I feel lied to and have decided to stop using the service. Now my stopping using Gowalla is not going to be their death knell BUT I do teach many classes on marketing and I will be promoting FourSquare instead. A blip on the radar, but you get enough blips and you are out of business! When you set up your “real” email list, you should have explicit permission to send them out through asking the person when you take their card or having a double opt in feature on your list. So what about all these “new” list building techniques where you have multiple lists and feel that you have more permission to spam some of them than others (I KNOW – you got them through a free offer but that DOES NOT give you permission to send them content every day for the rest of their lives). I LOVE the internet marketers. These are the guys and gals who are making things happen and who portend new online marketing trends. Those of you who are internet marketers email lists are probably aware of their “launches” where they send out a dozen emails and their friends all send you a dozen of the same emails. Well these marketers have hit a wall called “launch fatigue“. Their list members have basically said that they are not going to keep buying $1,000 products every week, no matter how many emails they get about it. On a smaller level small business owners and entrepreneurs can burn their own lists. By changing the frequency of your mailings from 1 per day to 3 per week to 1 per month back to 1 a day, you will confuse your readers. They will not know what to expect and will become disenchanted with your marketing. Keep it consistent and try to avoid sending totally self serving messages more than a couple times a year. Your friends and followers are on lists too! Now these lists are the property of Twitter and Facebook BUT you have access to talk with these people on a regular basis. The worst thing you can do to these lists is burn them out with a repetitive marketing message. On Twitter you can be more marketing-y since no one sits there and reads all of your posts BUT if your feed is nothing but affiliate links or sales messages, you will have to spend lots of time getting new followers to replace the ones that drop off. If nothing else, make sure to “feed” your feed with lots of great content from blogs to offset your marketing messages. On Facebook I try and make sure that my profile is mostly real info about me – NOW know that I don’t do much but marketing so there is a lot of talk about that but selling is done on my business pages. Occasionally I will post an event or something else on my profile but for the most part it is a sell free zone. As this is in line with Facebook’s terms of service I SHOULD be okay but have to tell you, you do not own this list and cannot export it so be careful to stay on Facebooks good side!!! Try and get your Facebook and Twitter peeps into your email list! If you ever lose your account you don’t want to lose touch with those people!!! !